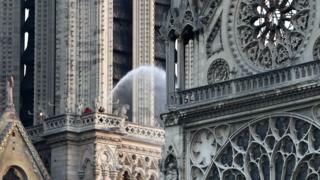 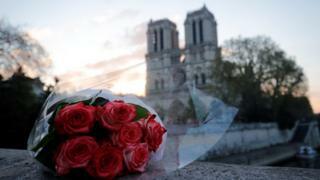 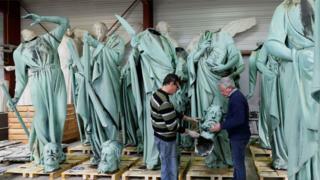 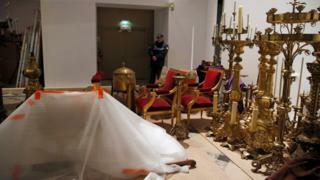 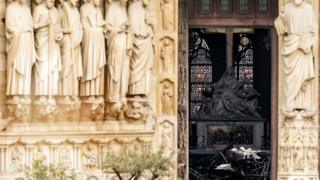 Hundreds of millions of euros have been pledged to renovate Notre-Dame cathedral after Monday's devastating blaze. 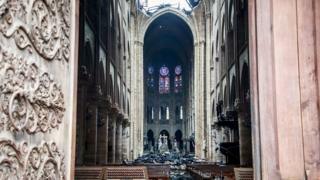 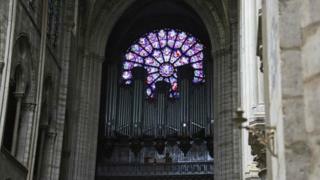 French President Emmanuel Macron has vowed that the Unesco World Heritage site will be rebuilt "even more beautifully", but some experts have warned that reconstruction could take decades. 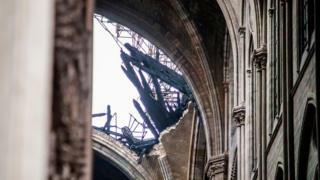 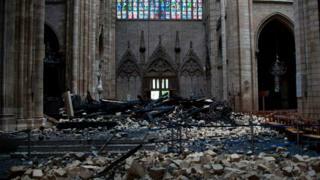 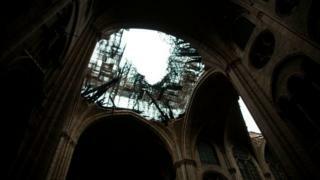 Images from the cathedral's interior show the extent of the damage.